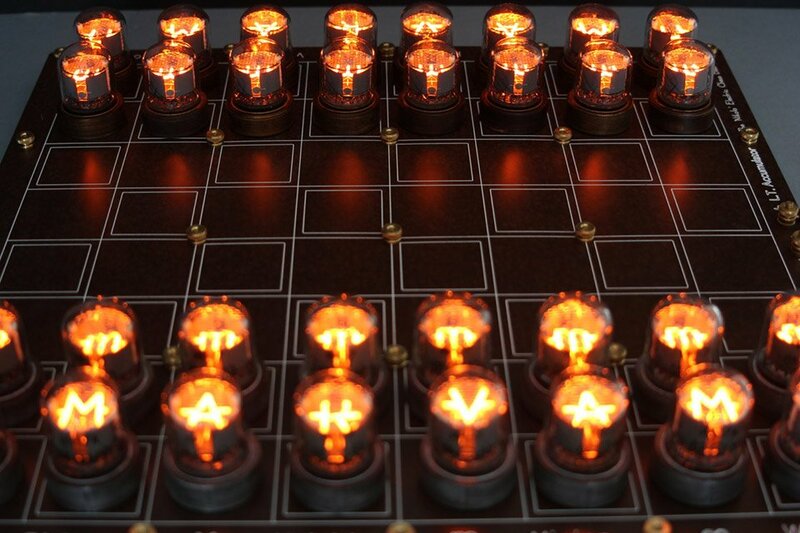 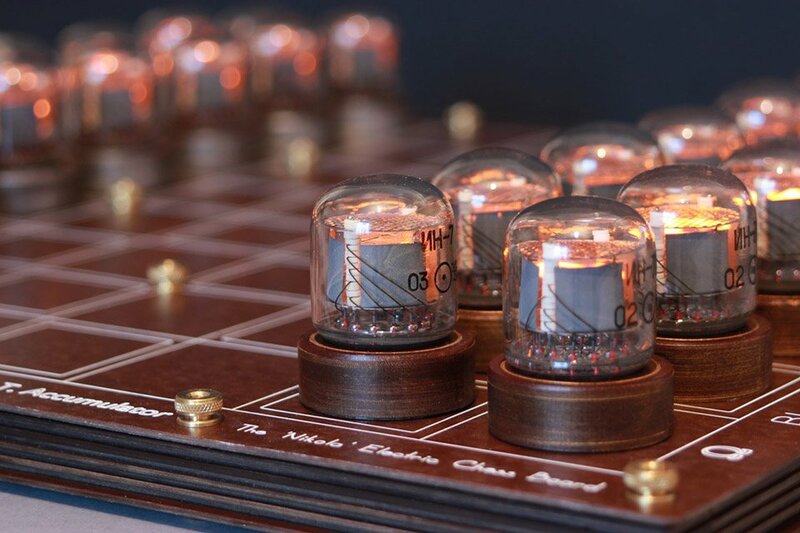 A truly unique chess set that uses old-school nixie tubes as its game pieces. 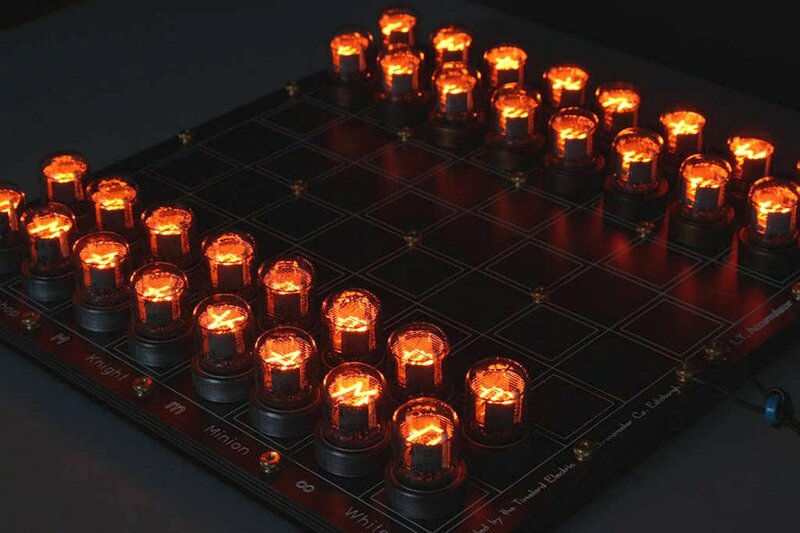 Each tube displays a symbol on top representing its position, and they glow without wires or plugs thanks to wireless inductive power. 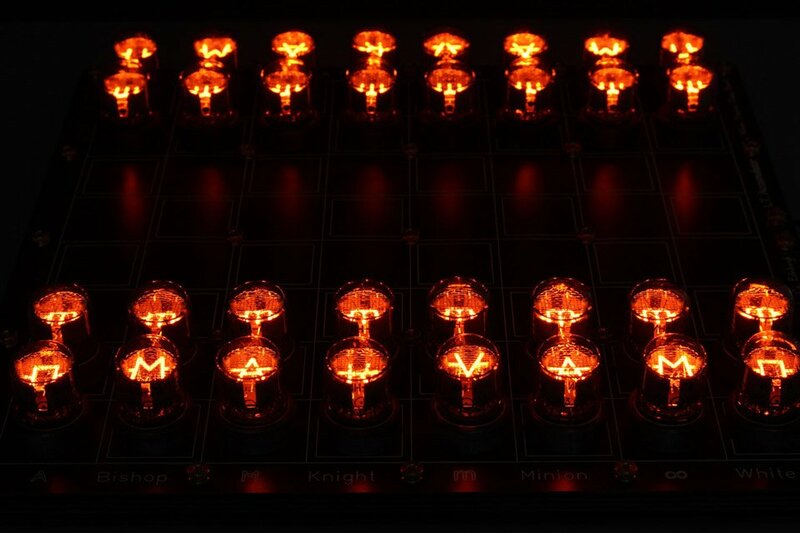 Also available as a DIY Kit for about 1/2 the price.